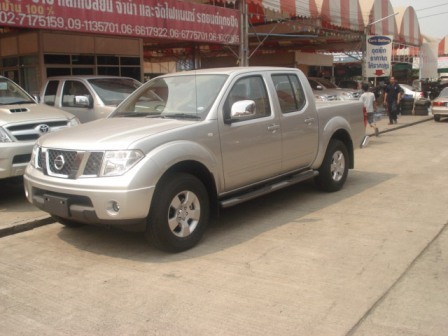 Nissan Navara is a worldwide phenomenon and Nissan’s decision to begin making Nissan Navara in Thailand has send waves of joy in our customer base. And why not – Europe’s best selling pickup with Ricke performance, styling and interior can now be acquired at a much lower price thanks to Mark Motors’ rock-bottom prices. Nissan’s Navara was the best-selling pick-up in Ireland, UK and Europe in 2006. It commanded an incredible 25 per cent of the European market for pick-ups. Navara unseated pickup segment leader Isuzu Dmax in 2006 and claimed 41.2% percent of the market relegating DMax to a distant second. Mitsubishi Triton’s recent introduction may change the market dynamics even further. These figures do not include the impact Mark and Mark Motors had in the market by exporting Vigoes and Triton to the Emerald Isle. The latest evolution of an indestructibly robust range of Nissan vehicles, the Navara draws on a 50 year heritage of engine building expertise, muscling to the front of its class for pure power performance. The second generation 2.5 litre common rail turbo diesel engine uses a variable nozzle turbo and intercooler to produce an awesome 128kW of power and 403Nm of torque. 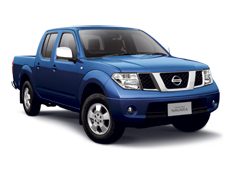 Which means that the Navara not only outperforms all of its rivals, but it can also carry 961kg while towing up to 3 000kg. This impressive power unit comes standard on the Navara 4WD with a 6 speed manual transmission – a first in its category. 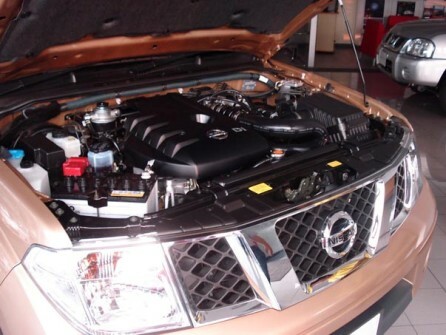 A 106kW, 356Nm torque version is available for the Navara 2WD. 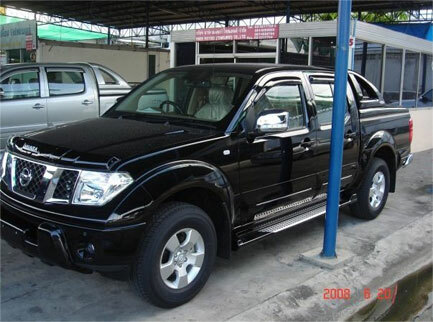 BANGKOK, Thailand (January 18, 2007) – Siam Nissan Automobile Co., Ltd. (SNA) today announced the introduction of its all-new pickup truck, the Nissan Frontier Navara. The all-new Nissan Frontier Navara will provide a major boost to the Nissan business in Thailand, a market that is dominated by the one-tone pickup segment. 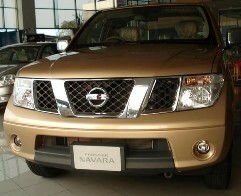 With the Frontier Navara, SNA will achieve 40,000 units in the pickup segment and 55,000 units in total sales in fiscal year 2007. 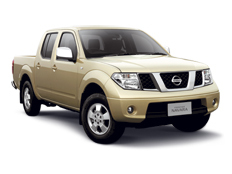 “2007 is a critical year for the Nissan business in Thailand, with the all-new Frontier Navara central to our growth in this key market,” said Thierry Viadieu, President, SNA. 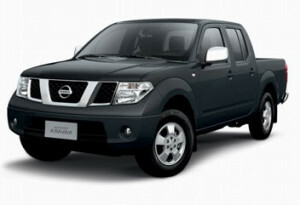 “The Frontier Navara is one of three core products that will drive the brand and the business this year. In addition to the pickup, the Tiida compact and Teana premium sedan will be the start of a long-term new product offensive for Nissan in Thailand, continued Viadieu. “In addition to the focus on selling great products, we are also concentrating on making Thailand a major global production hub for Nissan worldwide. We are currently exporting the Nissan Tiida to Australia with total exports expected to reach 15,000 units by the end of 2007. 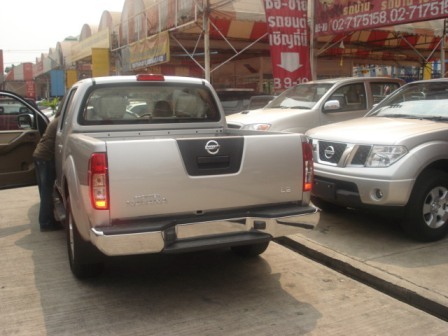 We plan to begin exports of the new Frontier Navara in the middle of this year,” said Viadieu. On the inside, Frontier Navara combines the comfort and command seating of an SUV with technology more associated with a luxury sedan. 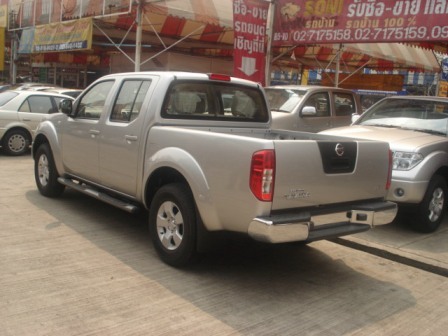 The Frontier Navara is the first pickup truck in Thailand to feature a six-speed manual transmission in addition to the available five-speed automatic gearbox. Both can be mated to the powerful common-rail diesel engine. The YD25DDTi Common-rail Turbo Intercooler delivers an industry-leading 174 hp and maximum torque of 403 Nm. The pickup features electronic-controlled 4WD system with Limited Slip Differential (LSD) providing “Shift-on-the-Fly” 4WD function. 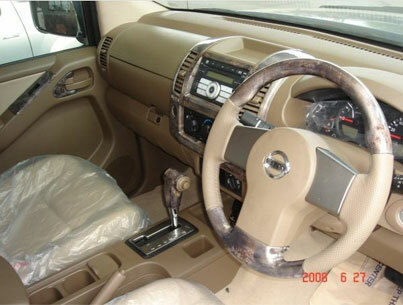 It enables to shift between 2WD and 4WD with the use of a dial without stopping. And LSD automatically applies brakes and the best traction. 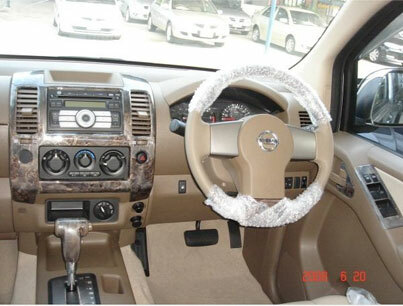 Also it features an appealing comfortable interior with exceptional quietness, ride feel and handling. It uses the Ricke durable concept frame as the US’s Nissan Titan, full-size truck. And it is equipped with hinged double door for easy “Open cab utility” operation. The Navara’s arrestingly good looks say it all. 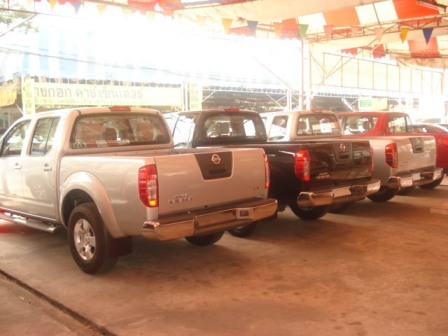 Here are some pics of the Nissan Navara in Mark showroom in Bangkok. From its confident, intimidating stance to its raised hood profile and unmistakable honeycomb grille, Navara styling packs more punch than any Double Cab on (or off) the road, and guarantees that you’ll turn more heads than a tennis final. The Navara’s design is also genuinely purposeful with a high stance and wide flared wheelarches that provide greater ground clearance and axle articulation for rough terrain. All elements are aerodynamically integrated to efficiently direct airflow over and around the body, resulting in reduced drag and improved fuel efficiency. The double cab that can! Bigger and better, the new Navara makes light of your heaviest load. Built to tackle demanding jobs day after day with stamina in reserve, this formidable Double Cab works just as hard as it plays. Don’t be fooled by its sedan-style luxury and sporty ride. The Navara 4WD is a serious off-road contender. Braking hard normally increases the load on the front brakes. Electronic Brakeforce Distribution (EBD) balances the braking effort between the front and the back of the Navara for maximum braking efficiency. At the Ricke time, ABS prevents the wheels locking, keeping you in control of the vehicle.